Finding the perfect apartment to rent can be tedious, especially with so many things to consider and be aware of. You need to think of the location, the apartment size, living conditions, safety, price and so much more. But if this is your first time condo hunting, you may need some help getting by. For most people, moving into a new place is not the easiest, but luckily, you can eliminate most problems with doing some quick research online. If you're still not sure what to consider and what to avoid when looking for condos for rent, we prepared a handy list of tips and tricks. Before you go out searching for the perfect home, you ought to know what this means for you. Setting priorities as to what you need, but also what you won't tolerate can help you narrow down the search. This doesn't mean all rental units you'll come across will be great, but you'll comb through them more easily. For example, are you willing to risk your preferred location for a larger, better-priced condo in a different area? Do you absolutely need to have a washer/dryer/other amenities in the condo? Put the things you can't live without on paper and continue the search accordingly. For most people, finding affordable, yet a decent condo for rent is a long process. And unless you're extremely lucky, you'll need to compare a lot of them and see which ones are worth the price. To avoid becoming overwhelmed, you should have a predetermined budget before you start your search. Typically, downtown or centrally located units have sky-high rents, but if you're willing to commute a little, you'll find better, more spacious condos for about the same amount. Similarly, if you have a certain budget and a preferred neighborhood, research the median income in the area to see if you can afford the price of living there. Having a budget and sticking to it can save you from overpaying and making rash decisions. It's well documented that the winter months are the best time of year for moving. This is because most people are moving in the summer when the demand is high, and consequently so can the rental amount. Start your search in October, so you have enough time to look into several different properties. You'll have much less competition and the rent will typically be lower. Many people avoid moving in the winter because it's cold and there are a lot of holidays, but if you don't mind the weather, you might be able score an awesome condo! Sometimes it's best to inform your family, friends or co-workers that you're looking for a rental. They may know someone who's renting or can ask around for you. You can also post on social media to spread the word. In many cases, people can find the best condos for rent through word of mouth. When you're looking at condos, make sure to bring someone with you. This can be your significant other, a friend, a family member or your roommate. An extra pair of eyes is a great thing, especially if you're prone to making rash decisions. For instance, you may be impressed by a condo's location or rent price, but it may have visible flaws that you overlook. So having another person to see things objectively can help you avoid mistakes and a decision that you may regret later. 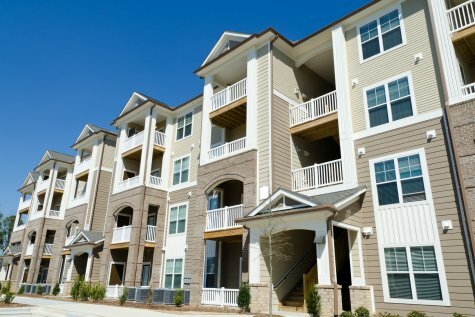 Be sure to ask about the various condo's amenities and ask if they're in a working condition. If you don't ask, you may end up with a condo full of stuff you won't use, yet you have to pay for. If the amenities like washers and dryers are in a common area for all tenants to use, ask the landlord to show you around. Do all of them work? Are they in good condition? Don;t be afraid to ask questions and have the landlord show you. Looking for affordable, yet decent condos for rent doesn't have to be difficult and overwhelming. Most people use property rental websites, but not all of them are legitimate. If you want a quality service completely dedicated to renting real estate, try right here at RentalAds.com. You can narrow your search by property types, monthly rent, size, types of rental agreements and more. This way, you'll find exactly what you're looking for without compromising your requirements. Pro tip: Be especially wary of the renting scams circulating the internet. These sites or ads typically include red flags such as asking for money beforehand, a lot of grammatical errors and lack any valid contact information. If the landlord cannot show you the inside of the condo, stay away. When you finally do find a condo you love, be prepared to negotiate the price. When landlords know that you're considering other rentals as well, some may lower the rent or offer you some sort of deal. You can increase the chances for negotiating an affordable rent if you look for rentals near the end of the month. This is when many landlords would rather have someone move in than have an empty unit for an entire month. Also, moving in during the fall and winter can help you get a better price on the unit you like. Looking for condo rentals is not a difficult process, even for first-time tenants. If you don't do your fair share of planning, researching and looking into all the details of the rental agreement, you may end up in a home you don't enjoy. So before you make any hasty decisions, remember our tips and make your condo hunt less stressful and more effective. If you need help finding the condo of your dreams, don't hesitate to contact us with your questions or simply start your search here.